A bid for £46m to improve rail services around Bristol is to be made to the government before Christmas. The move has been agreed by the West of England Combined Authority (WECA) for phase one of the MetroWest project, which includes reopening the old Portishead to Bristol line. Council leaders locally say the funding would plug a budget shortfall. WECA has also agreed to allocate £6m to the project, if the government bid is successful. That would match £6m already agreed by North Somerset Council. The decision was made at the West of England Combined Authority Committee meeting on Thursday. A report put to the committee says an additional £12m local contribution to the scheme is needed, of which £6m has now been allocated by North Somerset Council. The Portishead rail line closed to passengers more than 50 years ago, but it is hoped stations at Portishead and Pill could open by 2021. 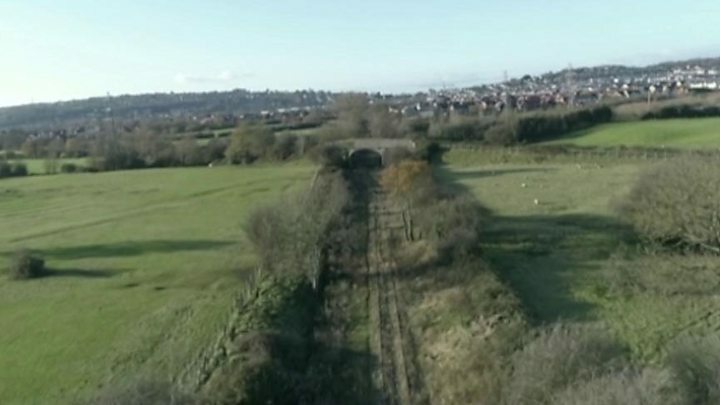 Video Portishead railway: Could line reopen to public?